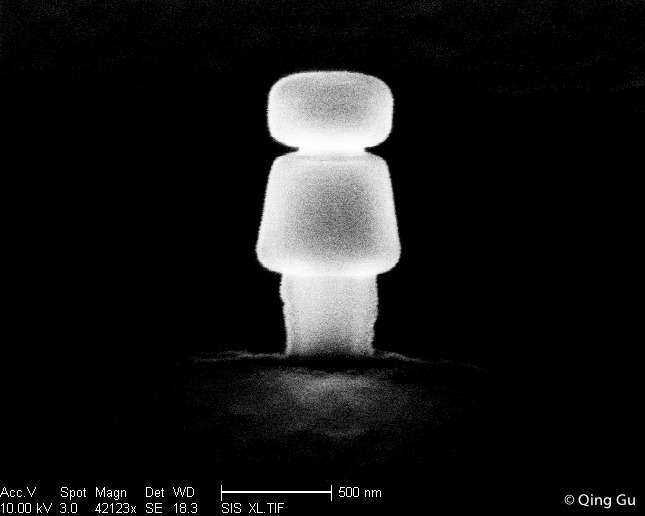 “It resembles a mushroom cloud, but in fact, it’s one of our microscopic nanolasers, imaged under an electron microscope. These lasers are among the smallest in the world, so small you could fit a billion of them on an iPhone home button, small enough to one day fit easily on a computer chip to help computers send data using light. The hope is that this technology will one day produce much faster computer chips.